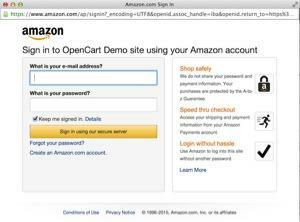 Amazon Pay and Login with Amazon for OpenCart provides customers with the ability to become registered users of your site by logging in with their Amazon.com buyer account credentials. To log in to their account, a buyer goes to My Account > Login. On the next screen, the Login with Amazon button is shown. 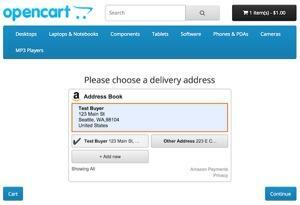 After clicking the button, a buyer can use their Amazon credentials to log in to your site. 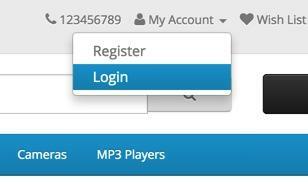 After logging in, a buyer can manage their account as if they had created a registered user account. When going through a purchase flow, a buyer sees an Amazon Pay button on the checkout screen. If the buyer is already logged in, clicking the button will take the buyer to the Amazon checkout screen beginning with the Address Book widget. If they are not already logged in, the pop-up window from above will be shown to have the buyer log in with their Amazon account. 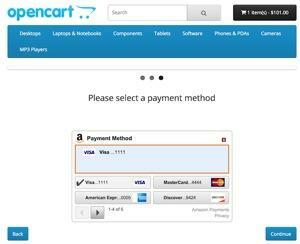 After clicking Continue, the buyer will next see the Wallet widget containing their stored payment methods in their Amazon account. 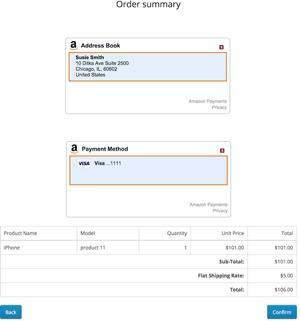 Finally, the buyer will be shown an order summary screen with their selected address and payment method. 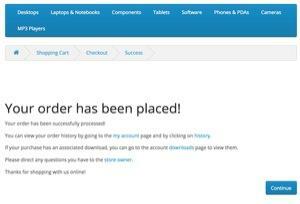 Clicking Confirm places the order. 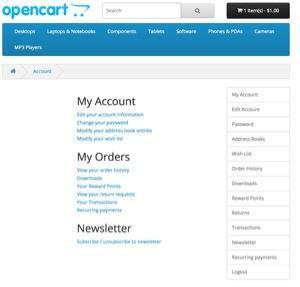 After placing the order, the buyer sees the success screen, with links available to manage their orders through the My Account page.